TLJ Daily E-Mail Alert No. 2,238, May 11, 2011. May 11, 2011, Alert No. 2,238. 5/10. Representatives of the governments of the United States and the People's Republic of China (PRC) concluded two days of meetings in Washington DC titled "U.S.-China Strategic and Economic Dialogue" (SED). Both countries made numerous statements and commitments. Among other things, the PRC made commitments on intellectual property piracy and indigenous innovation policies. The US and PRC stated in a joint release that they "re-affirmed their commitment to take further steps to liberalize global trade and investment, and to oppose all forms of trade and investment protectionism". Also, "China will strengthen the government inspection mechanism so as to make sure that the software being used by the government agencies at all levels is legitimate. China and the United States will strengthen cooperation in the JCCT IPR Working Group on software legalization." The joint release states that the US "commits to give full consideration to China's request that it be treated fairly as the United States reforms its export control system. The United States will continue discussions, including technical discussions, on the export control status of designated parts, components, and other items of interest." For more on US reform of its export control system, see story titled "Obama Addresses Export Control Reform Process" in TLJ Daily E-Mail Alert No. 2,185, December 21, 2010. Also, "Both sides agree to work through the U.S.-China High Technology Working Group (HTWG) to actively implement the Action Plan for U.S.-China High Technology Trade in Key Sectors Cooperation, hold U.S.-China fora on high-tech trade on a regular basis, and discuss high-tech and strategic trade cooperation through the HTWG." The joint release also addresses indigenous innovation. "China will eliminate all of its government procurement indigenous innovation products catalogues in implementing the consensus achieved during President Hu's January 2011 visit to not link innovation policies to the provision of government procurement preferences." For more on indigenous innovation, see for example, stories titled "Locke Addresses PRC and Trade" in TLJ Daily e-Mail Alert No. 2,040, February 2, 2010, "WTO's 3rd Trade Policy Review Addresses IPR in the PRC" in TLJ Daily E-Mail Alert No. 2,090, June 2, 2010, and "EC Trade Commissioner Addresses Indigenous Innovation and IPR in the PRC" in TLJ Daily E-Mail Alert No. 2,122, August 10, 2010. The joint release continues that "China will revise Article 9 of the Draft Regulations Implementing the Government Procurement Law to eliminate the requirement to link indigenous innovation products to the provision of government procurement preferences. The United States and China are cooperating intensively in the High- and Experts-Level Innovation Dialogue to ensure that their innovation policies are consistent with the 2010 S&ED principles of non-discrimination; support for market competition and open international trade and investment; strong enforcement of intellectual property rights; and, consistent with World Trade Organization (WTO) rules, leaving the terms and conditions of technology transfer, production processes and other proprietary information to agreement between individual enterprises. Both sides are committed to continuing the High- and Expert-Level meetings and to implementing the outcomes of those meetings." Robert Holleyman, head of the Business Software Alliance (BSA), stated in a release that "The fact that software piracy was on the table in this week's talks between the United States and China underscores the impact it has on the US economy. It is encouraging that China has committed to strengthen its inspections of government agencies to ensure they are using legal software: it acknowledges that the results of China's software legalization efforts to date have been inadequate." But, he added that "it is also important to note that China has made a series of commitments like these in recent negotiations, and the software industry has not yet seen results that it can measure in increased sales and exports. For that reason, the US should continue insisting that China take credible steps to lower its piracy rate." Holleyman also said that "I am encouraged by China's new commitments to limit the impact of its discriminatory procurement policies. These policies, under the umbrella of indigenous innovation, have made it nearly impossible for many BSA members to sell to the Chinese central or provincial governments. We look forward to seeing real change in the marketplace." The joint statement also addresses many other issues. For example, it covers currency and monetary policy tools in the US and PRC. It addresses financial regulation. It also states that "China will continue to take steps to expand domestic consumption and imports". It also states that "The United States and China express their continued support for the government and people of Japan as they begin to rebuild from the tragic earthquake and tsunami, and affirmed their confidence in the health of Japan’s economy." 5/10. President Obama gave a speech in El Paso, Texas, in which he discussed immigration issues, including those involving students and other persons with technology related talents. He said that immigration reform will "help to make America more competitive in the global economy. Today, we provide students from around the world with visas to get engineering and computer science degrees at our top universities. But then our laws discourage them from using those skills to start a business or a new industry here in the United States." Obama said that "Instead of training entrepreneurs to stay here, we train them to create jobs for our competition. That makes no sense. In a global marketplace, we need all the talent we can attract, all the talent we can get to stay here to start businesses -- not just to benefit those individuals, but because their contribution will benefit all Americans." "Look at Intel, look at Google, look at Yahoo, look at eBay. All those great American companies, all the jobs they’ve created, everything that has helped us take leadership in the high-tech industry, every one of those was founded by, guess who, an immigrant." So, Obama said that "we don't want the next Intel or the next Google to be created in China or India. We want those companies and jobs to take root here." Also, Vice President Joe Biden stated in a speech in Washington DC on May 9 about US relations with the People's Republic of China that "Over the last three decades, our people have become increasingly linked through education, through work and through travel. Last year, 130,000 Chinese were studying in the United States. They're really good. We’re going to try to keep some of them." 5/10. The Copyright Office (CO) published a notice in the Federal Register announcing that it will hold a public hearing on June 10 in its inquiry into possible mechanisms, methods, and recommendations for phasing out the statutory licensing requirements set forth in 17 U.S.C. § 111, § 119, and § 122. The CO is required to undertake this proceeding by Section 302 of S 3333 [LOC | WW], the "Satellite Television Extension and Localism Act", which was enacted in 2010. It is now Public Law No. 111-175. See, story titled "Obama Signs Satellite TV Bill" in TLJ Daily E-Mail Alert No. 2,089, May 28, 2010. "(1) proposed mechanisms, methods, and recommendations on how to implement a phase-out of the statutory licensing requirements set forth in sections 111, 119, and 122 ... by making such sections inapplicable to the secondary transmission of a performance or display of a work embodied in a primary transmission of a broadcast station that is authorized to license the same secondary transmission directly with respect to all of the performances and displays embodied in such primary transmission; (2) any recommendations for alternative means to implement a timely and effective phase-out of the statutory licensing requirements set forth in sections 111, 119, and 122 ...; and (3) any recommendations for legislative or administrative actions as may be appropriate to achieve such a phase-out." The hearing will be on Friday, June 10, 2011. The deadline to submit notices of intent to testify at the hearing is 5:00 PM on Friday, May 27, 2011. The deadline to submit written testimony is 12:00 NOON on Wednesday, June 8, 2011. The hearing will be in the Copyright Hearing Room, Room LM-408, Madison Building, 101 Independence Ave., SE. See, Federal Register, Vol. 76, No. 90, May 10, 2011, at Pages 27091-27092. 5/10. Federal Reserve Board Governor Elizabeth Duke gave a speech in St. Louis, Missouri, in which she discussed creativity and innovation. She stated that "An individual acting alone to solve a problem can be creative, while innovation is the process of adding value by applying a new idea or method to something that is already established. For example, Henry Ford did not contribute the creative energy to invent an automobile. Rather, Ford's innovation was the idea to combine the 100-year-old technology for the automobile with the meat packing industry's assembly line process, resulting in a means to mass produce cars." She continued that "Apple did not invent the MP3 player with the introduction of the iPod. Rather, the company used existing technology and a collaboration with the music industry to develop iTunes software, bringing an affordable application of the MP3 to the public. In each of these examples, improving upon a good idea was as important, if not more important, than the initial idea." However, she was not speaking to people who might bring innovation to any tech sector. Rather, she encouraged people involved in the community development finance industry to be innovative. 5/10. The Free Press (FP) sent a letter (15 pages in PDF) to the Senate Judiciary Committee's (SJC) Subcommittee on Antitrust, Competition Policy and Consumer Rights, which will hold a hearing on the proposed merger of AT&T and T-Mobile on Wednesday, May 10, 2011. The FP argues that the merger should be rejected. The Senate does not have the power to approve or reject mergers. The PK letter argues that the "relevant product market is the nationwide post-paid smartphone cellular service market", that the merger "would result in the re-formation of a tight duopoly in wireless service", and that the merger would harm consumers and competition. No representative of the FP will testify at the SJC hearing. 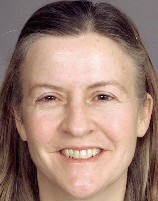 However, the Public Knowledge's (PK) Gigi Sohn will testify. She wrote in her prepared testimony [24 pages in PDF] that "The merger of AT&T and T-Mobile threatens to undo what Congress so wisely initiated in 1993 and return the United States to a duopoly market marked by higher prices and less innovation. If this merger is consummated, two vertically integrated companies will control nearly 80 percent of the wireless market, and leave Sprint, with just 16 percent of the market, considerably weakened." Sohn added that "This is a market that is already considered heavily concentrated based on the" Department of Justice's (DOJ) 2010 Horizontal Merger Guidelines and the current Herfindahl Hirschman Index (HHI) measurements. 5/6. The Communications Workers of America (CWA) released a paper [9 pages in PDF] titled "Sprint or AT&T? The Real Story Behind the Proposed AT&T/T-Mobile Merger". The CWA is a sometimes militant and combatant union. The CWA expresses its concerns in this paper that Sprint, the only other company that might have acquired T-Mobile USA, has a history of opposing unionization efforts. However, the bulk of this paper argues more broadly that acquisition by AT&T would be better for consumers and for broadband buildout. This paper states that "The alternative to the AT&T merger was not a standalone T-Mobile but a merger with Sprint. Thus, a comprehensive assessment of the impact of the AT&T/T-Mobile merger should include a comparison with the only real alternative that was being considered seriously: a Sprint/T-Mobile merger." The paper argues that "consumers, workers, and communities will be better served by a T-Mobile merger with AT&T than one with Sprint." It states that T-Mobile was losing customers, had poor revenue growth, low margins, was "poorly positioned in the race to create the next generation high-speed wireless network", and its owner, Deutsche Telekom (DT), was "not willing to commit additional capital resources to fund the buildout of a fast 4G network." Moreover, "A Sprint/T-Mobile merger would have faced major financial and technological obstacles, creating significant risks for consumers, workers and communities." There exists a counter argument, that technology companies' need to be innovative, quick to adapt, and flexible, is undermined by collective bargaining agreements with entities like the CWA. These agreements, and arbitrators' rulings, set work conditions, and limit companies' ability to ramp up and ramp down operations, thereby making unionized tech companies less competitive. Under this view point, the tech sector, and consumers of tech products and services, would be better off with a merged entity that is less restricted by union entanglements. See for example, the speeches of Gary Shapiro, head of the Consumer Electronics Association (CEA), such as his address to the Media Institute in Washington DC, on February 17, 2009. See also, story titled "CEA Chief Criticizes Spending Bill, Protectionism, Unionization Mandates, and Anti-Immigration Policy" in TLJ Daily E-Mail Alert No. 1,901, February 17, 2011. 5/10. The Phoenix Center for Advanced Legal & Economic Public Policy Studies released a paper [8 pages in PDF] titled "Wireless Mergers and Employment: A Look at the Evidence". The authors are George Ford and Lawrence Spiwak. This paper examines "the merger-employment relationship by looking at employment trends in the wireless sector, and their relationship to the largest wireless merger to date -- the AT&T-Cingular merger in 2004". It concludes that "the evidence does not support a simplistic argument that wireless sector employment is diminished by wireless carrier mergers. If anything, the data suggest that mergers may have a beneficial impact on employment." It elaborates that "in the years prior to the AT&T-Cingular merger, wireless sector employment was declining at an annual rate of about 2.4%. After the merger, however, sectoral job growth rebounded, turning positive (4.6%) and exceeding the growth rate of economy-wide employment." 5/10. Federal Communications Commission (FCC) Commissioner Michael Copps gave a speech [6 pages in PDF] in Asheville, North Carolina. Copps railed against "the first eight years of my tenure", when George Bush was President, Republicans were the majority on the Commission, and the Commission classified broadband internet access services (BIAS) as information services. He said that then, the FCC pursued "policies designed to benefit big, incumbent interests rather than consumers". And now, the lack of competition among BIAS providers "poses a real threat to freedom of speech and the future of our democracy". He also said that the universal service and intercarrier compensation system are "byzantine and broken". He said that the Commission will vote on these items "this summer", so "Anyone interested in being part of the solution needs to get to their bottom line, to their final proposals, now." He also discussed municipal broadband. He said that "When incumbent providers cannot serve the broadband needs of some localities, local governments should be allowed -- no, encouraged -- to step up to the plate and ensure that their citizens are not left on the wrong side of the great divide. So it is regrettable that some states are considering, and even passing, legislation that could hinder local solutions to bring the benefits of broadband to their communities." He also offered a lean and hungry look at the state of news media. He said that there has been an "undisciplined era of rampant private sector speculation and consolidation that shrank news production and the process was aided and abetted by successive Federal Communications Commissions that encouraged it all, blessed it all, and walked willingly away from its public interest responsibilities." "Unless we fix the problems facing traditional news outlets, today's problems in journalism will only continue, and probably get worse, in the broadband world of tomorrow." But, Copps did not say how he would "fix the problems". 5/9. The Senate rejected a cloture motion on the nomination of James Cole to be the Deputy Attorney General (DAG), by a vote 50-40. See, Roll Call No. 67. Cole is, however, the temporary DAG, due to a recess appointment in December. A cloture vote, which ends a filibuster, requires a three fifths majority to prevail under Senate Rule XXII. See, Congressional Research Service report titled "Invoking Cloture in the Senate", dated February 25, 2011. This defeat for Cole (at right) resulted in part from the DOJ's non-cooperation with Senate Republicans on oversight matters. Republicans Senators did not state whether they will also filibuster other DOJ nominees for the same reason, such as Virginia Seitz, to be head of the Office of Legal Counsel, and Lisa Monaco, to be head of the National Security Division. Democrats need to both maintain cohesion, and attract some Republican votes, to end a filibuster. Sen. Richard Lugar (R-IN) was the only Republican to vote for the motion. Seven Republicans did not cast votes. Sen. Harry Reid (D-NV), the Senate Majority Leader, voted no. However, by voting no he preserved his procedural option of bringing a motion for reconsideration. Sen. Charles Grassley (R-IA), the ranking Republican on the Senate Judiciary Committee (SJC), stated during Senate debate that "In addition to my concerns regarding Mr. Cole's qualifications, I am troubled by President Obama's recess appointment of Mr. Cole to this position. I have been consistent in my opposition to recess appointments over the years. Whenever the President bypasses the Senate by making recess appointments, such nominees will not receive my support. We have a process in place for nominations and if the President isn't willing to work with Senators to clear nominations, the nominee shouldn't get a second bite at the apple." Sen. Grassley is also concerned with Cole's refusal to provide Sen. Grassley with documents to facilitate its oversight of the Department of Justice (DOJ), and to provide Sen. Saxby Chambliss (R-GA), the ranking Republican on the Senate Intelligence Committee (SIC), with other DOJ oversight materials. Sen. Grassley stated that "These documents are part of a legitimate exercise of our constitutional duty to conduct oversight." Actually, the enumeration of the powers of the Congress in Article I, Section 8, of the Constitution does not list "oversight". However, Senators and Representatives often act as though there were an oversight clause in the Constitution. Sen. Grassley urged Senators to "send a message to the Justice Department to stop the stonewalling of legitimate oversight inquiries from members of the United States Senate". Sen. Grassley and Sen. Jeff Sessions (R-AL) both also expressed concern about Cole's commitment to the war on terror. Sen. Ben Cardin (D-MD) defended Cole's approach to fighting terrorists. 5/9. The Senate Judiciary Committee (SJC) held an executive business meeting at which it approved by voice vote the nomination of Virginia Seitz (at right) to be Assistant Attorney General in charge of the Department of Justice's (DOJ) Office of Legal Counsel. See, SJC release. See also, story titled "Obama Picks Seitz for OLC" in TLJ Daily E-Mail Alert No. 2,194, January 6, 2011. 5/9. The Senate Judiciary Committee (SJC) held an executive business meeting at which it approved by voice vote the nomination of Lisa Monaco to be Assistant Attorney General (AAG) in charge of the Department of Justice's (DOJ) National Security Division. See, SJC release. See also, story titled "Obama Nominates Lisa Monaco to Be Head of DOJ's National Security Division" in TLJ Daily E-Mail Alert No. 2,205, March 21, 2011. 5/9. The Senate Judiciary Committee (SJC) held an executive business meeting at which it approved the nomination of Bernice Donald to be a Judge of the U.S. Court of Appeals (6thCir) by voice vote. See, SJC release. 5/10. Microsoft and Skype announced in a release that "they have entered into a definitive agreement under which Microsoft will acquire Skype, the leading Internet communications company, for $8.5 billion in cash from the investor group led by Silver Lake. The agreement has been approved by the boards of directors of both Microsoft and Skype." 5/9. Janet Napolitano, the Secretary of Homeland Security, gave a speech to graduating students at Emory University in Atlanta, Georgia. She said, "we also need you in government" for, among other things, "ensuring a safe and secure cyberspace". The Senate will meet at 9:30 AM. It will consider the nomination of Arenda Allen to be a Judge of the U.S. District Court (EDVa). 11:00 AM - 4:00 PM. The US Telecom will host a seminar titled "Broadband Access Fundamentals". See, notice. Prices vary. Location: USTelecom Executive Conference Center, 607 14th St., NW. 10:00 AM. The Senate Judiciary Committee (SJC) will hold an executive business meeting. The agenda again includes consideration of the nominations of Donald Verrilli (DOJ Solicitor General), Henry Floyd (USCA/4thCir), Kathleen Williams (USDC/SDFl), Nelva Ramos (USDC/SDTex), Richard Jackson (USDC/DColo), and Sara Darrow (USDC/CDIll). The agenda also again includes consideration of S 623 [LOC | WW], the "Sunshine in Litigation Act". The SJC rarely follows its published agendas. The SJC will webcast this event. See, notice. Location: Room 226, Dirksen Building.